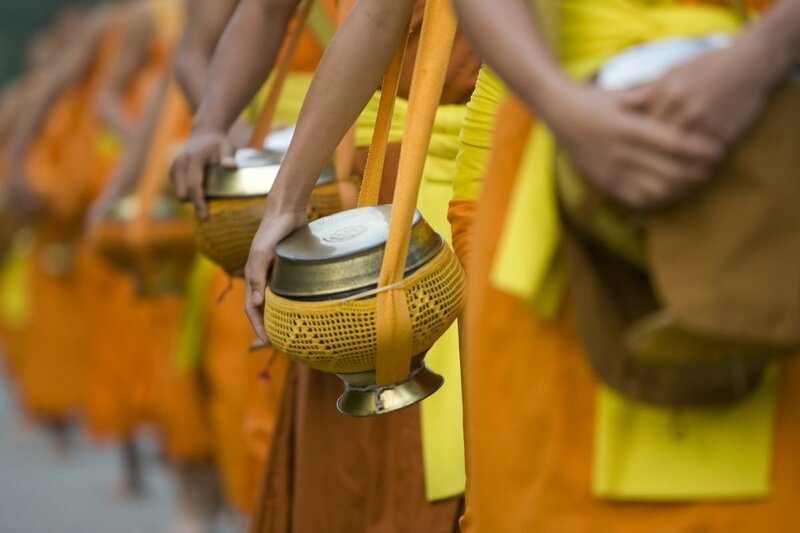 Laos Tours - Get a Free Quote for an Amazing Holiday to Laos Today! An often overlooked Asian destination, Laos offers lush scenery, historic, fairytale cities and Buddhist culture. A tour to Laos is a journey to traditional, authentic Asia, where a relaxed atmosphere and incredible hospitality still reign. Check out all our tours to Laos below. Experience a tour to the Far East of yesteryear. A country where time almost stands still, and where the tranquillity is perceptible. 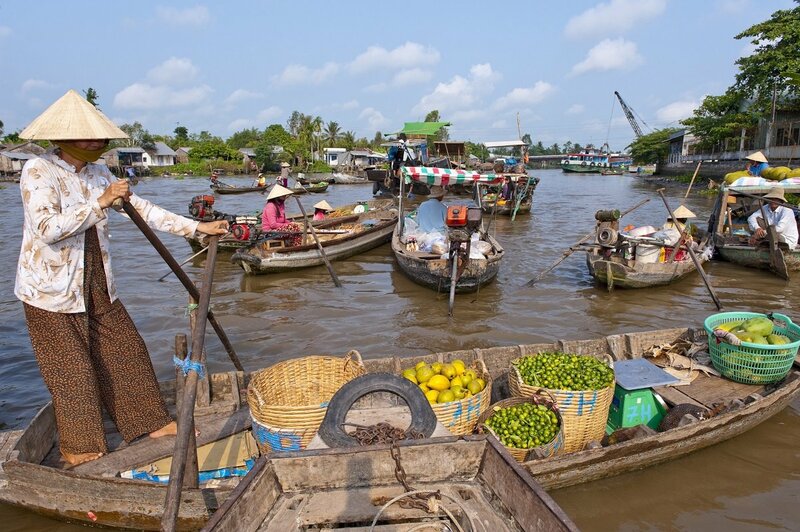 From Vietnam’s hills, to the mighty Mekong Delta. From the sunset over Angkor Wat, to the laid-back atmosphere of the amazing Luang Prabang. Vietnam, Cambodia and Laos in the one tour. Why should you holiday in Laos? 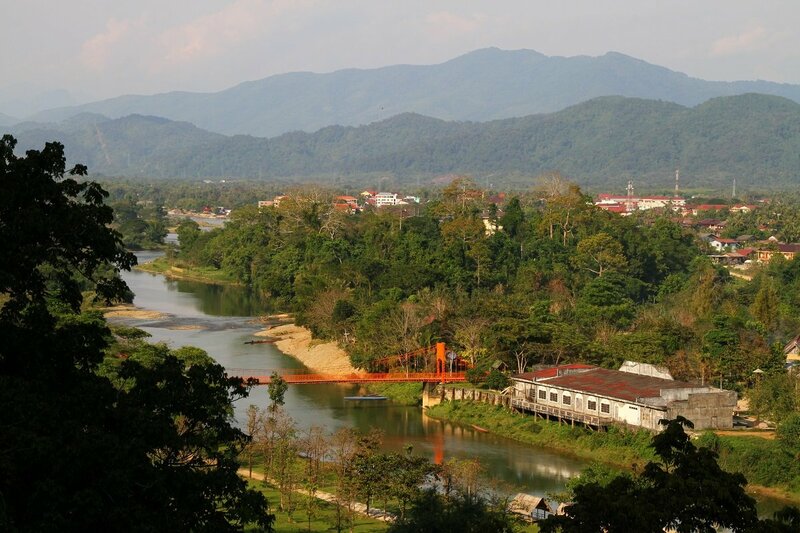 Situated between five Asian destinations, including Thailand and Vietnam, lies Laos. Laos is the only landlocked country in South-east Asia. The country’s lifeline is the Mekong River, which runs through the entire country, contributing to its lush nature. 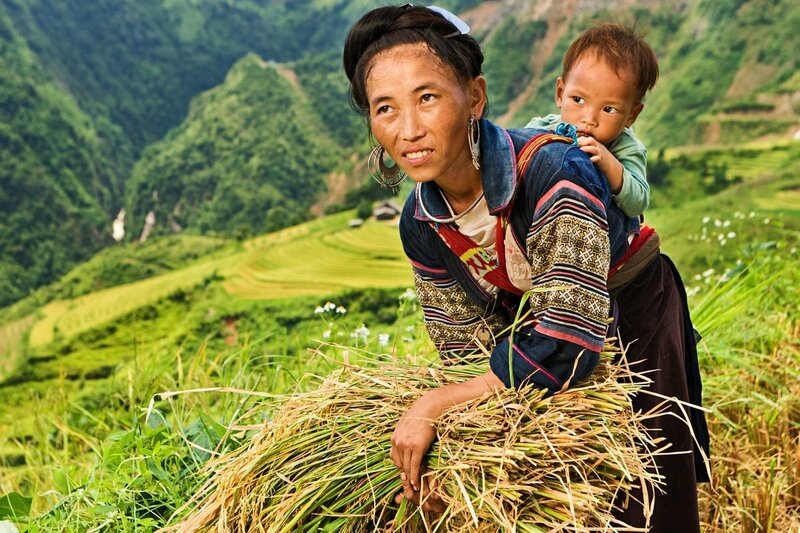 In Laos, you will experience something completely different from other destinations in Asia. This is traditional Asia, with fairytale landscapes and diverse populations that exude a honourable calm and hospitality the like of which is not found find in many other places. Below you can read about some of the highlights you can experience on our holidays in Laos. In northern Laos, along the Mekong River, lies the former royal city of Luang Prabang, a UNESCO-protected city, which offers a unique blend of traditional Laotian architecture and French colonial charm. You won’t find modern buildings in Luang Prabang, but French colonial villas side by side active temples in the old streets. The city’s rhythm is a chapter in itself, where life is lived quietly and with a dignity rarely seen. Every morning, several thousand monks proceed silently through the streets of the city to collect alms. You cannot fail to be amazed by the respectful silence and great dignity with which this daily ritual takes place. In the evening, the main street transforms into a large night market where tribal people from neighbouring villages come to sell their wares. 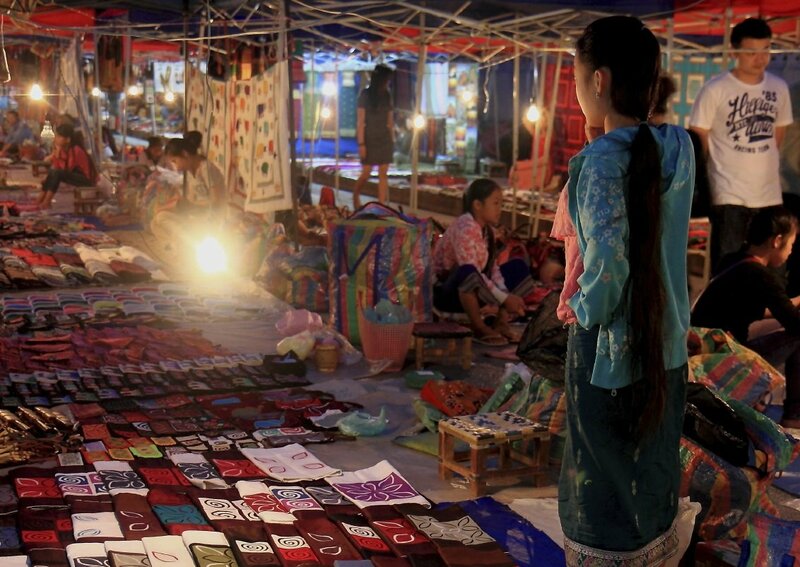 You will find a wide selection of traditional handicrafts, with stalls selling all manner of colourful textiles, ceramics and even Beer Lao T-shirts. 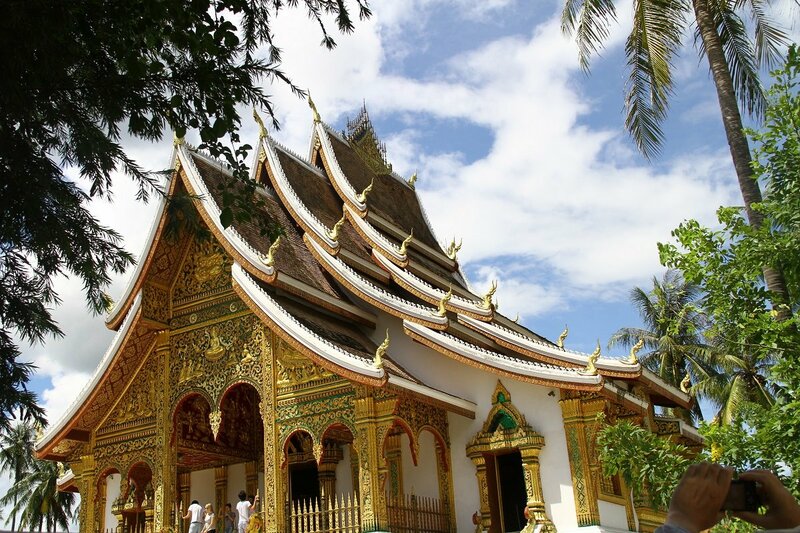 Explore Luang Prabang on two wheels and see monks in their traditional orange dress, the iconic temple of Wat Xieng Thong, and climb to the top of the Phousi Hill, which affords excellent views of the city and the river. South of Luang Prabang, in the heart of the jungle, lie the scenic Kuang Si Falls. Swim in the natural pools, or visit the centre for Malay bears, which works to protect the highly endangered bear. Sail along the Mekong River to Kamu Lodge, which is nestled in a valley surrounded by rice fields, small villages and lush nature. Explore the scenic surroundings or gain an insight into life in the countryside with a visit to the Kamu tribe where you can, for example, participate in the daily work. Deep inside northern Laos, in Xieng Khouang province, is the Plain of Jars, one of Laos’ most unique and mysterious sights. The Plain of Jars is an impressive archaeological site, where hundreds of stone jars lie scattered across the plateau. The jars are man-sized, measuring between 1 and 3 metres in diameter, and the largest weighs up to 14 tonnes. Several thousand years old, very little is known about what these giant jars were used for, or where they come from. Local legends tell of giants who lived on the plain, who used the jars for rice wine when celebrating their war victories. South of Luang Prabang is Vang Vieng, which, for many travellers, is a little piece of paradise. The landscapes around Vang Vieng look like something from a fairytale. The town is surrounded by green-clad limestone cliffs, which rise up from the deep green rice fields. The tranquil river runs through the town, providing the focal point for a whole host of activities, ranging from rafting and kayaking to the popular activity “tubing”, where you gently float down the river in a large, inflated rubber ring. Vang Vieng also offers visits to caves such as Tham Norn, which is one of the largest caves in the town, and Tham Poukham Cave is the source of crystal clear water which attracts many bathers. At the town’s market, you will also find local, reasonably-priced handicrafts including beautiful hand-woven Laotian fabrics, e.g. phaa sin (sarongs). Further south lies the capital of Vientiane, which is considered to be one of South-east Asia’s quietest capitals. Many visitors fall in love with the incredible tranquillity found in many places. Vientiane offers beautiful monuments and temples, e.g. Wat Sisaket, which houses more than 5,000 Buddha figures, Hor Pha Keo, a 16th century Buddhist temple where you will discover one of the finest collections of Laotian art, and Patouxai, Vientiane’s victory arch, where you can enjoy a fantastic panoramic view of the city. Just north of the city lies the stupa Pha That Luang, which is the most sacred place in Laos and the country’s national symbol. The stupa was built in the 16th century on the ruins of a Khmer temple and is completely covered with gold leaf – an impressive sight. The city also has a night market along the promenade and plenty of delicious food at the food stalls. And be sure to try the local beer, Beer Lao. 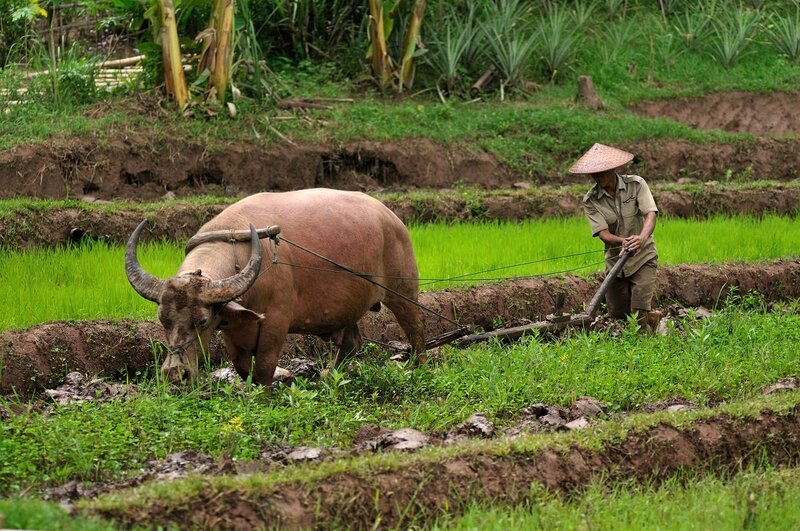 One of our tours takes you to ancient Indochina, a combination of Vietnam, Cambodia and Laos. Vietnam is a hugely popular travel destination, offering everything from interesting, historic cities to magnificent, UNESCO protected nature. 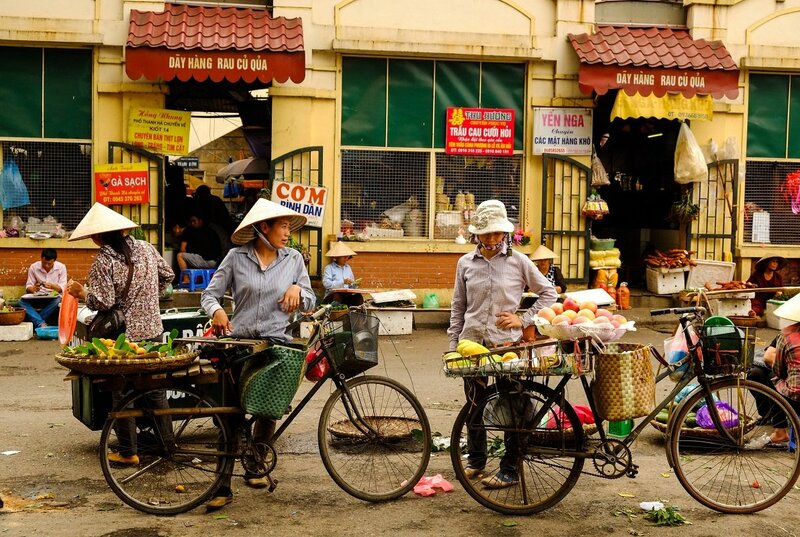 Hanoi, the capital of Vietnam. Discover a city of contrasts with its mix of colonial history and modern-day buzz. 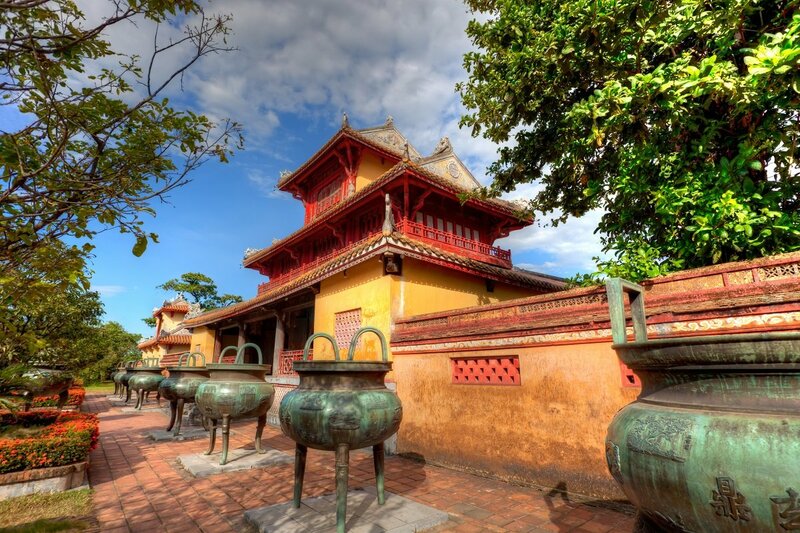 Visit, for example, the Temple of Literature, the Ho Chi Minh Complex and Ngoc Son Temple. Ha Long Bay on a mini cruise and get right up close to one of Vietnam’s most distinctive areas of natural beauty, a UNESCO World Heritage Site. The colonial city of Hoi An, which used to be one of the most important ports in South East Asia. Visit the old town, which testifies to Japanese, Chinese and Indian influences. 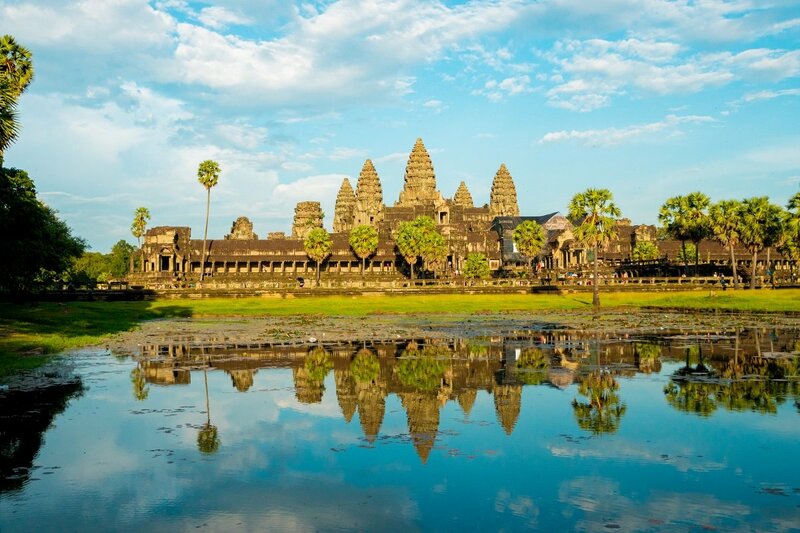 Cambodia offers some of the world’s biggest sights. Discover the legendary Angkor Complex, which is a UNESCO World Heritage Site and one of the most important archaeological sites in South-east Asia. The temple complex Angkor Wat, which is Cambodia’s biggest attraction. It was the most splendid of all the temples of the Khmer Empire, and an architectural masterpiece. It is said to have taken some 300,000 men and 6,000 elephants 37 years to build the complex. Want to know more about Laos? To obtain further information about the practicalities of travelling to Laos on our site, visit Practical information, where you can read more about the climate, vaccinations and visas. If you have any questions about booking, our other tours to the Far East or something else entirely, our travel consultants are on hand to help you. We look forward to sending you on the holiday of your lifetime. When is it best to travel to Laos? Laos has a tropical monsoon climate that does not fluctuate greatly during the year. There are two seasons: the dry season, which runs from November to April, and the rainy season from May to October. The average temperature is between 25 and 30 °C all year round. It is hottest in May, when the temperature in the middle of the day can reach 40 °C, and coldest in December, when the temperature can drop as low as 15°C at night.